At 4300mm, the SX4 S-Cross is longer than the SX4 subcompact, but is 60kg lighter due to the greater use of high-tensile steel for the body. What are the sales targets for the SX4 S-Cross? Suzuki sells about 55,000 SX4s a year in Europe. Annual production of 85,000 is planned for the SX4 S-Cross. Suzuki touts technology such as the automaker's latest four-wheel-drive system and the world's first double sliding panoramic glass sunroof as features that will help the car stand out in a fast-growing segment. How good is the 4wd? The AllGrip four-wheel-drive system allows the driver to easily select one of four modes – auto, sport, snow, and lock – using a simple push-and-turn dial on the center console. Why is the sunroof special? Two glass panels open to 560mm and extend over the rear seats, resulting in a larger opening than the sunroofs offered by most rivals. The interior quality will not match most European buyers' expectations; steering is poor. Suzuki expects the SX4 S-Cross, the company's first compact crossover, to help the automaker turn around its flagging European business. The SX4 S-Cross joins the region's expanding market for crossovers as a rival to models such as the Nissan Qashqai. Suzuki says a roomy cabin and a large luggage capacity of 430 liters, as well as its latest four-wheel-drive system, will add to the car's appeal. "Families now want the crossovers and that's exactly what they get with our new SX4 S-Cross," Suzuki Europe President Takanori Suzuki said. 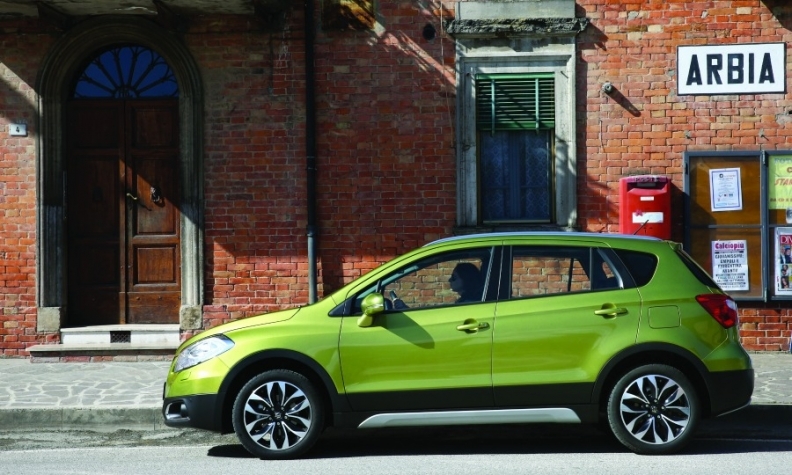 The SX4 S-Cross is one of two models that will replace the SX4 subcompact in Europe. The second, a subcompact crossover, is due in spring 2015. At 4300mm, the SX4 S-Cross is longer than the SX4 but is 60kg lighter because of the extensive use of high-tensile steel for the body. The crossover is offered with a 1.6-liter gasoline engine or a Fiat-sourced 1.6-liter diesel. Sales of Suzuki vehicles in EU and EFTA markets have fallen 7 percent to 126,851 in the first 10 months, according to data published by the industry organization ACEA on Tuesday.